Discussions Magazine Music Blog: Anthrax's FOR ALL KINGS Makes Top Ten Debut On Billboard's Top 200 Albums Chart! 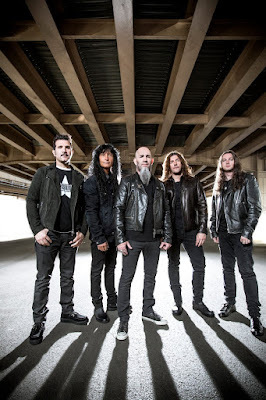 Anthrax's FOR ALL KINGS Makes Top Ten Debut On Billboard's Top 200 Albums Chart! 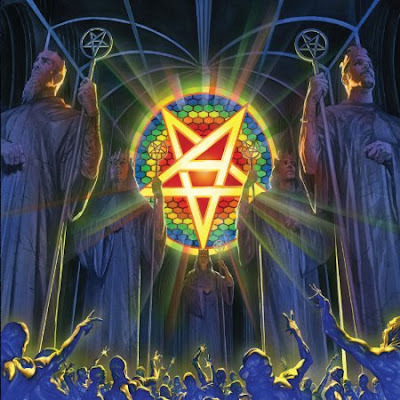 Multi-Grammy nominee Anthrax have blasted into Billboard's Top 10 with their 11th studio album, For All Kings, bowing at #9-bullet on the Top 200 Albums Chart and selling 34,000 units. This debut eclipses the #12 debut made by the band's 2011 Grammy-nominated, critically-acclaimed Worship Music. The album also topped the Hard Rock Albums chart in both the U.S. and Canada with its #1 debuts, and landed at #5 and #7 respectively on the U.S. and Canada's Top Current Albums charts. Additionally, For All Kings debuted at #2 on Billboard's Top Rock Albums chart, #2 on the Independent Albums chart, #4 Physical Albums, and #5 Vinyl Albums chart. "We share this Top 10 victory with all of our fans," said the band's Charlie Benante. "Heavy metal is alive and well." Since For All Kings was released Friday, February 26, it has held the #1 position on both the iTunes Heavy Metal Albums sales chart and Amazon's Best Sellers in Metal chart. In addition, the album's first single, "Breathing Lightning," debuted last week in the Top 40 on both the Mediabase Active Rock Chart and on BDS. Press has also been an enormous champion of For All Kings: "The album is thrash perfection..." "...a near flawless album...5 out of 5 stars..." "...one of Anthrax's best CDs of all time, a sparkling triumph..." "...a surefire album-of-the-year contender..."
For All Kings is the band's 11th studio album, was produced by Jay Ruston, and is their first album since 1990's Persistence of Time to be written specifically for Joey Belladonna's soaring vocals, an integral part of Anthrax's classic signature sound. And the album IS classic Anthrax, with the band's metal thrash roots clearly front-and-center, and lyrics that tackle topics such as the struggle to grow up and be responsible, having blind faith and selling your soul, how the way you live your life affects everyone around you, and murder and martyrdom rooted in an ideology. "Thank you so much to everyone who loves the record we made," added Anthrax's Scott Ian. "The response to For All Kings has been fantastic, seriously, thank you all so much."